(PRESS RELEASE) – Ceylinco Life has reported that total income grew 14 per cent to Rs 11.028 billion in the six months ending 30th June 2016, with robust growth in both gross written premium and income from investments enabling the life insurance leader to consolidate its position at the helm of the sector. Gross premium income at the end of the first half of the year totalled Rs 7.173 billion, reflecting a growth of 12 per cent over the corresponding six months of 2015, the company said. Investment income improved by a healthy 18.2 per cent to Rs 3.855 billion in the six months reviewed, taking Ceylinco Life’s investment portfolio to Rs 72.792 billion, representing an increase of Rs 11.568 billion over the preceding 12 months. The company’s Life Fund stood at Rs 72.183 billion as at 30th June 2016, a growth of nearly Rs 7 billion since the end of the second quarter of last year. 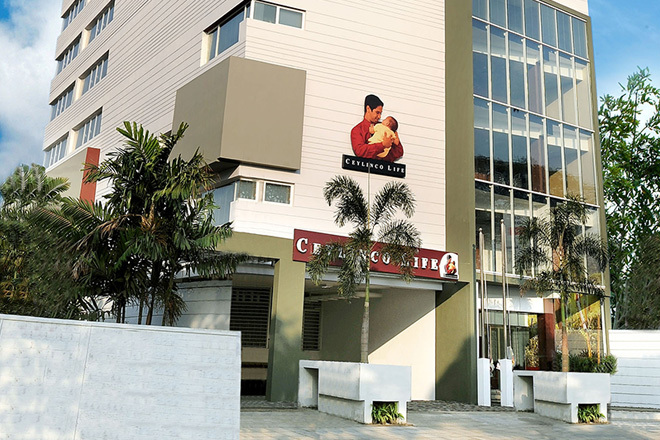 Ceylinco Life paid Rs 3.284 billion in net benefits and claims to policyholders in the six months reviewed, an increase of 18 per cent over the corresponding period of last year. Total assets of the company grew by 7.7 per cent over the six months to Rs 86.4 billion. Ceylinco Life’s investment portfolio as at 30th June 2016 comprised of Government Securities (62 per cent); Licensed Private Banks (6 per cent); State Banks (2 per cent); Real Estate (7 per cent); Corporate Debt (22 per cent) and Others (1 per cent). These investments are made in conformity with the investment guidelines stipulated under the Regulation of the Insurance Industry Act No 43 of 2000 and are subject to regular monitoring by the Insurance Board of Sri Lanka (IBSL). Adjudged Sri Lanka’s Best Life Insurer in 2016 for the third consecutive year by World Finance, Ceylinco Life commenced operations in January 1988 and has close to a million lives covered by active policies. The company is acknowledged as the benchmark for innovation in the local insurance industry for its work in product research and development, customer service, professional development and corporate social responsibility.